NEWINGTON - Among the 1,500 federal workers in our state without paychecks the last month, pet owners picked up free food and supplies in town this week. Thousands of pounds of pet necessities were collected by the Connecticut Humane Society Tuesday. On Wednesday, workers affected by the federal shutdown were invited to stop by the non-profit animal welfare agency’s Newington headquarters and take home donations. 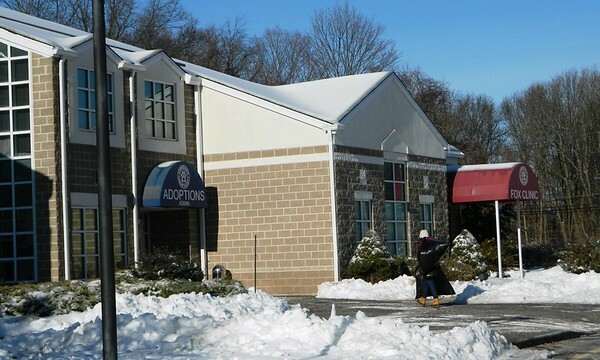 The Newington facility on Russell Road serves as rescue central, its Fox Memorial Clinic providing veterinary services and emergency response, and the shelter an adoption center for pets. 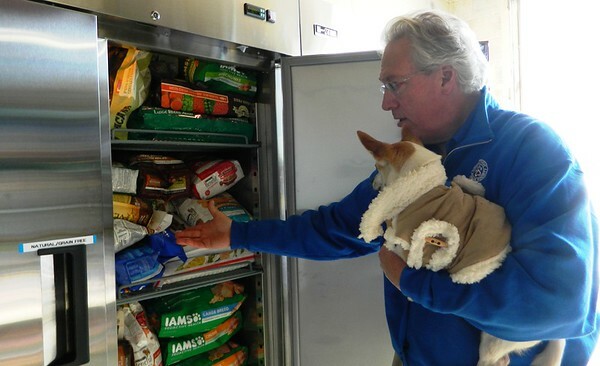 With nine-year-old Chihuahua “Maxy” in his arms, Willard took inventory of the center’s food pantry Tuesday afternoon, as donations came in by the bagful. Maxy, for example, is a dog with diabetes. He requires a different type of food than a typical healthy dog. “Different animals have different dietary restrictions, allergies and conditions,” Willard pointed out. He’s been involved in animal welfare for several decades. Over the years, the price of pet food has risen substantially. When families are strapped for cash or in a difficult spot financially, taking care of pets becomes a challenge. Animal advocates hope people surrender their animals in a loving way, by bringing them to a shelter like the Humane Society, but that’s not always the case. Many end up homeless and starving. Last year the organization distributed 38 tons of dry food and 30,000-plus cans of wet food through its various outreach efforts. The Town Crier went to print before federal workers picked up donations this week, but staff expected many to be grateful for the donations. Farmington resident Colleen Fitzgerald carried in several pet blankets and dog beds Tuesday afternoon to give. “I rescued all my pets, so this is near and dear to my heart,” Fitzgerald said. For Willard, it’s about keeping families together in their time of need. “That’s what we’re striving for,” he said. Posted in Newington Town Crier, Newington News on Thursday, 24 January 2019 10:41. Updated: Thursday, 24 January 2019 10:44.